The introduction of the gene editing tool CRISPR in 2007 was a revolution in medical science and cell biology. But even though the potential is great, the launch of CRISPR has been followed by debate about ethical issues and the technology's degree of accuracy and side effects. However, in a new study published in Cell, researchers from the Novo Nordisk Foundation Center for Protein Research have described how Cas12a, one of the CRISPR technologies, works at the molecular level. This makes it possible to fine-tune the gene-editing process to achieve specific desired effects. "If we compare CRISPR to a car engine, what we have done is make a complete 3-D map of the engine and thus gained an understanding of how it works. This knowledge will enable us to fine-tune the CRISPR engine and make it work in various ways—as a Formula 1 racer as well as an off-road truck," says Professor Guillermo Montoya from the Novo Nordisk Foundation Center for Protein Research. The researchers have used a so-called cryo-electron microscope to map the technology. The recently inaugurated cryoEM facility at the University of Copenhagen has established the state-of-the-art technology enabling the researchers to take photographs of the shapes of the molecule as CRISPR-Cas12a cuts up a DNA strand. They combined it with a fluorescent microscopy technique called single-molecule FRET that directly observes the motions of the molecules and the sequence of events for each individual protein. Among other things, this sequence of events revealed to the researchers that three pieces of the CRISPR tools must change form to cut the DNA properly. 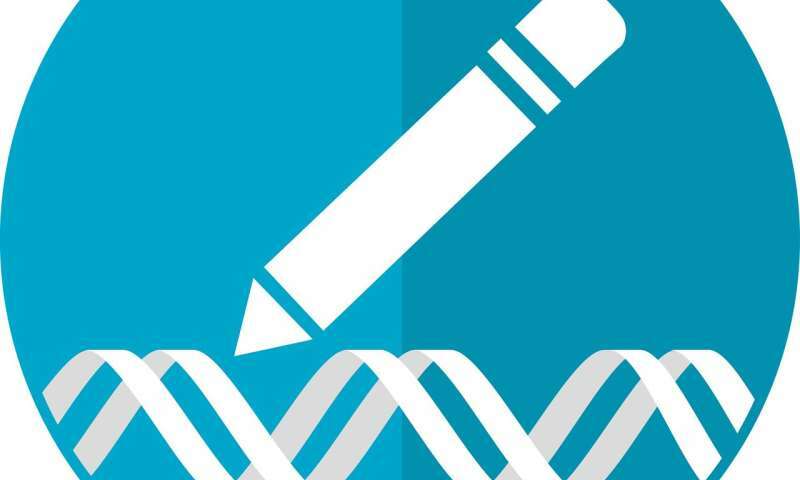 "Our new study shows the precise series of events in the genome leading to gene editing. These three pieces that change work like airport security checks. You have to complete all checks and in the right order to proceed," says Associate Professor Nikos Hatzakis from the Department of Chemistry and the Nano-Science center. According to the researchers, their new findings can explain why CRISPR technology often has side effects on the genome. Once the DNA strand has been cut, the three security checks remain open. This can cause the process to last longer than wanted, because the machinery behind gene editing continues to run and can cause genetic changes. However, the researchers expect their new knowledge to put an end to this. They believe it can be used to fine-tune the gene-editing technology right away.